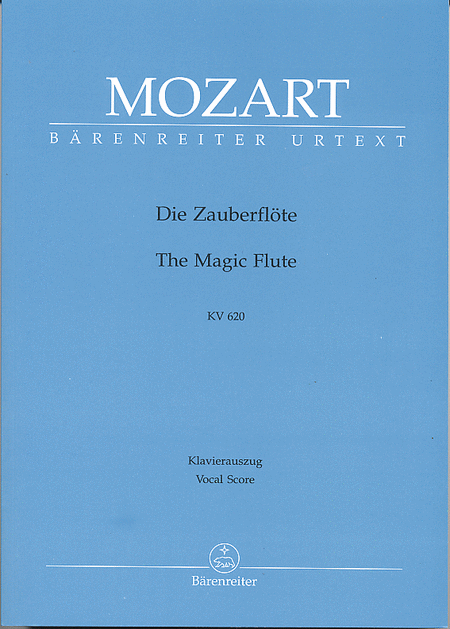 The Magic Flute remains Mozart's most popular opera worldwide to this day. Schikaneder’s Freihaustheater auf der Wieden was a theatre in the suburbs of Vienna . It was a kind of people’s theatre with a corresponding repertoire and its attraction for the public was due not least to the use of spectacular stage effects. 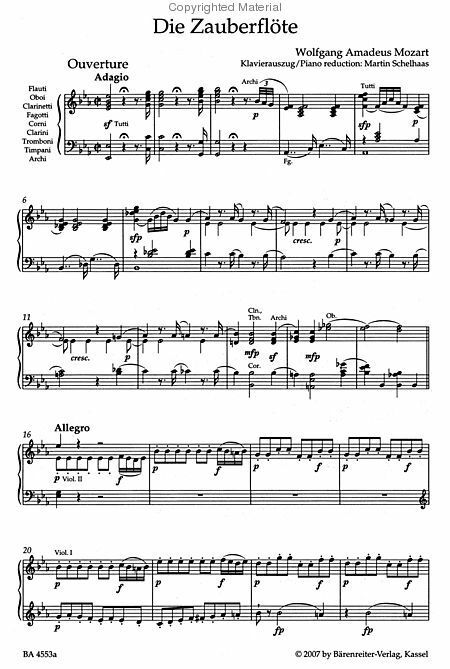 The concept ‘machine-comedy’ refers to the theatrical genre to which “The Magic Flute” owes its origins, and to which the work originally belonged. 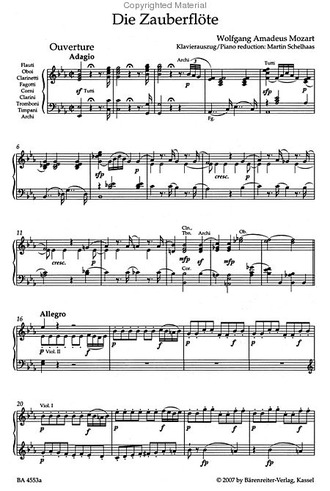 The premiere was given on 30 September 1791, conducted by Mozart. 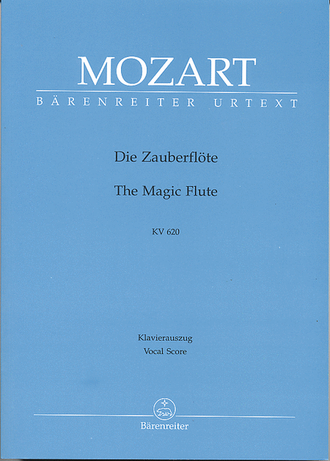 With this new edition, Bärenreiter has now published vocal scores to all Mozart’s stage works in revised or new editions. These editions offer a historically grounded working basis and will be decisive for Mozart reception for the forthcoming decades.